Surface Pro Pro? 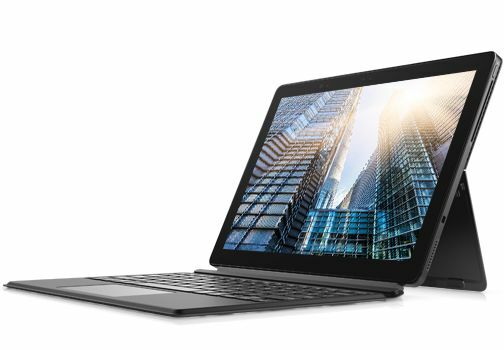 The Latitude 5290 seeks to be a Surface Pro for business professionals. Equipped with an 8th-gen Intel SoC, NVMe SSD, and a bright and vivid touchscreen display, can this $1,932 convertible make a compelling case for its value as a business asset? The Dell Latitude 5290 2-in-1 laptop is really impressive and definitely a worthy competitor to the Surface Pro. Even price-wise, this laptop is more affordable than the Pro, whose highest model costs around Rs 182,999. Even then, the product might seem a little overpriced, given that it has a cramped, shallower keyboard and a disappointing battery life. If you’re on the hunt for a Surface Pro competitor for business or just for a personal machine. The 5290 2-in-1 is a great choice. It has a lot going for it and with Dell’s current deals, it may be worth your dime. If you’re a business user looking for a Surface Pro competitor and need security features to boot, then this is it. Even as detachable 2-in-1s go, the Latitude 5290 isn’t cheap. But Dell’s theory is that your business will pick up the tab because of this laptop’s great value. In terms of performance and professionalism – a chintzy device it most certainly isn’t – the Latitude delivers. With solid hardware, a rugged but elegant build, tight security features, and a certain cool factor, the Latitude 5290 is everything the on-the-go professional wants – but it isn’t cheap. With tons of options, you can build the Dell Latitude 5290 2-in-1 you want. Also, durability, on-site upgrades and stellar battery life make this the Surface Pro alternative businesses need. The Dell Latitude 5290 2-in-1 is a solid option for almost everyone. The Dell Latitude 5290 2-in-1 is a solid option for almost everyone. It is a first-class detachable for business users, with plenty of security options and configuration choices. With solid hardware, a rugged but elegant build, tight security features, and a certain coolness factor, the Latitude 5290 is everything an on-the-go professional wants. Dell claims that the Latitude 5290 has passed a number of MIL-STD-810G durability tests, including for vibrations, extreme temperatures and air transport. The Latitude 5290’s build quality is top-notch. The construction consists of magnesium-alloy material which is more common among Dell’s 7000-series Latitude notebooks than with the primarily plastic 5000 series. The result is an extremely rigid device which resists torsion. The Latitude 5290 weighs 2 pounds on its own (2.8 pounds with the keyboard) and measures 11.5 x 8.2 x 0.4 inches (it grows to 8.5 inches with the cover on). The 12.3-inch, 1920 x 1280 display has a 3:2 aspect ratio. The taller display will be great for anyone who works on the web or in spreadsheets and needs more vertical space. It also happens to be incredibly bright and quite vivid. The panel on the Latitude 5290 covers 125 percent of the sRGB color gamut, surpassing the premium-laptop average of 113 percent. The Latitude 5290 2-in-1 looks like most other Surface clones. That is, it is a tablet with a kickstand and a detachable keyboard. This one is black with the company logo in gray and a fingerprint reader on the right side. The front is where users will find the display surrounded by a bezel. The Intel Core i5-8350U SoC powering the Latitude 5290 is a quad-core processor hailing from the Kaby-Lake-Refresh generation of chips. Its base frequency of 1.7 GHz can be increased all the way to a max turbo clock rate of 3.6 GHz. For graphics, it has an Intel UHD Graphics 620. As for storage and memory, the processor is paired with 8 GB of LPDDR3 RAM and a Toshiba NVMe 256GB SSD for what ought to be very fast performance. As for connectivity, it contains one USB-3.1-Gen-1 Type-A port, along with two Type-C ports with DisplayPort and optional Thunderbolt 3. Naturally, as a tablet with a detachable keyboard which is sold separately, it supports an active pen, which can write on the 12.3-inch display. Dell says the Latitude 5290 can last nearly 13 hours with the higher-capacity battery. Express Charge technology gets the Latitude’s 42-Wh battery from a 30 percent charge to a full charge in 1 hour and 20 minutes. 82.84%: This rating should be considered to be average. This is because the proportion of notebooks which have a higher rating is approximately equal to the proportion which have a lower rating.